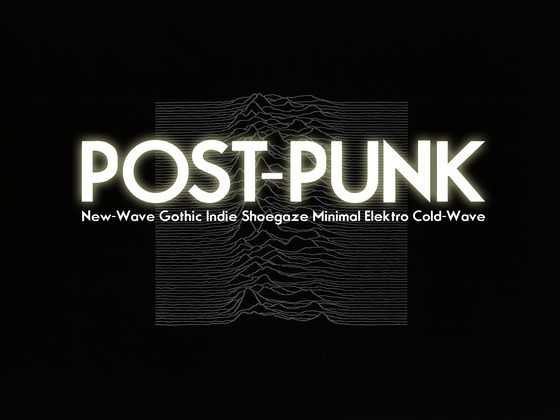 “Post-Punk Magazine” on KickStarter, the clue’s in the name! This cropped up recently – a new print magazine focussed on post-punk bands (“The Cure, Joy Division, Nick Cave and The Bad Seeds, Siouxsie and The Banshees, Bauhaus, Echo and The Bunnymen, Depeche Mode, etc.”), revialvalist bands (e.g. Interpol), and “coldwave” bands (must admit I’m a little fuzzy on this one!). Post-Punk Magazine is an exciting new English print magazine due out February/March 2013. We are covering oldschool and new Post-Punk music, fashion, art, and culture. On Facebook over 2.7 million people like The Smiths, 4.5 million The Cure, and 1.3 million like Joy Division. Post-Punk Magazine caters to these well-established fan bases, as well as those of Nick Cave and The Bad Seeds, Siouxsie and The Banshees, Bauhaus, Echo and The Bunnymen, Depeche Mode, and many, many more. We will be also covering Post-Punk revival bands like Interpol, A Place to Bury Strangers, The Editors…and newer bands like DIIV, Esben and The Witch, Cult of Youth, Zola Jesus, and The Soft Moon. Coldwave groups like Asylum Party, Kas Product, Little Nemo, Martin Dupont, and Norma Loy. Finally, let us not forget those Post-Punk cult legends that never really had the success they deserved, like The Chameleons (UK), Sad Lovers and Giants, Lowlife, and more. We will be publishing Post-Punk Magazine quarterly (4 times a year) and each issue will have a page count of or approx. 132-160 pages. Our debut issue will have a circulation of over 50,000 copies distributed in North America and Europe and since this is a free magazine, each will have a virtually a 100 percent pickup rate. Each issue will be artistically designed to be a collectible to be shared and cherished. We are based in Berlin, a city with a thriving and rapidly growing bohemian and avant-garde music and art scene. We have partnered with the best underground Post-Punk and Minimal labels so that we are always on the cutting edge of the new music and culture coming out of the world’s major cities. with a feature on Nick Cave and The Bad Seeds, Sacred Bones 5th Anniversary (Zola Jesus, Wymond Miles (of The Fresh & Onlys), Psychic Ills, Cult of Youth, Pop. 1280, Lust for Youth), Post-Punk in China and the art of J Sabo (Landray), and of Anja Huwe, plus much more. We will updating you on Issue 1 content as it comes in-so many great releases are coming out in early 2013! Why a Free Print Magazine? A recent study has shown that 45% of Consumers prefer their advertising in their favorite print magazines, as opposed to 22% on Company Websites, 9% from News Websites, and 9% from Social Media. Print advertising is more effective than online advertising, and results in more impressions on a reader because they tend to read through the magazine more than once, reread articles, and the ads are less intrusive. The retail periodicals market is broken in the United States, and most magazines are sold at retail at a loss. Magazines like VICE on the other hand are thriving because of their high circulation levels that advertisers find appealing-high circulation that can only be achieved by using the free model. Why should I contribute if it is free? Post-Punk Magazine will be distributed for free only in metropolitan areas. However, you can receive a Backer Only special limited edition of Post-Punk Magazine as a reward for contributing to our Kickstarter campaign. Furthermore, you make your voice heard to advertisers and marketers by showing you love Post-Punk music as much as we do. You also help the bands get exposure to a larger audience, thus enabling them to create more of the music we love. Also, by contributing you can increase our budget so we can make Post-Punk Magazine even better: rarer photos, more special features, and more interviews, more pages, increase our circulation-so that perhaps wherever you are you will be able to find a copy of upcoming issues! However- the magazine can’t be printed if we do not reach our funding goal. Printing: Each individual copy of Post-Punk Magazine will cost approx $1.00 to $1.50 to produce-not including overall shipping and distribution costs or paying our staff. Staff Fees: We are very fortunate to have a a great staff of editors, designers and photographers on board-many of whom make a living practicing their craft (and some do these day jobs to fund their bands). These people deserved to get paid for their quality work. Production expenses: Computers, Software, recording equipment, traveling expenses to gigs/interviews. via Post-Punk Magazine by William Baker — Kickstarter.